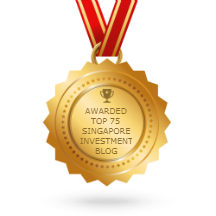 SG Young Investment: How much money do you need to own a condominium in Singapore? I agree with you that for someone who is the main bread solewinner of the house that is earning 4.5 to 5k may be overstretching himself by taking in the loan u mentioned. If both are working at least it slashes the burdens off by half. 5k income is peanut these days. We need to bump it up further especially if ur other half is not working. 5k income is peanuts? Its abalone to me now. Haha. For me a poor diploma holder only get $2000 plus in Singapore. Worse still the pay gets stuck along the way(there's a cap for diploma pay). That's why I choose to study for a degree to upgrade. Hopefully 5k will be peanuts to me in the near future. Main bread solewinner with 5k can just live comfortably in HDB. Yes I'm aware that MAS requires FIs to use a 3.5% interest. I've updated my post to include the 3.5% calculation. Do let me know if I miss out any other details. Thanks. With effect from 10th Dec'2013, the MSR ratio of 30% applies for executive condos as well...you may have to rewrite your article.. Yes there's a 30% MSR ratio for ECs. I have already put it in the disclaimer at the bottom of this post to flag the MSR out. My post is generally on private condos. Thanks for the article, SGYI. Even with an income of $8870, I would exercise prudence and go for a 5-room BTO HDB. This is to ensure that I've sufficient CPF for my retirement. Indeed to have sufficient for retirement is important. We don't want to be asset rich but cash poor. One important point is the limits are the "maximum" limits. Individual priorities are different, and the "running costs" of the Condo need to be considered as well on top of the loan payments. This will certainly eat in to the remaining allocations. For example if we limit the 30% of your income for the property - minus 280-350 for the mtce fee; 100 property tax etc. This can be significant when a person is running borderline. Thanks for pointing out the "running cost" of the condo. Management fee does cost quite alot and certainly need to factor that in. I think you may need to add stamp duties and also legal fees during purchase. Indeed these are all additional costs. I didn't include it in this post as it may become too complicated. What I wanted was to give as simple as possible a rough estimation. End of the day it seems so silly that Singaporeans are working so hard just to repay off all their loans from Housing, Car etc. We work our entire life to enjoy such necessity. Yeah, sometimes I wonder after paying off those items will we still be able to retire? but in all honesty, if we dont intend to spend on housing and car at the current price, what else can we do in singapore? If we have more than enough money then its ok to spend on housing and car. It's important to plan for retirement also if not we may enjoy now but suffer later. By that time it'll be too late. Hopefully some rich dudes pump in $1million and acquire our blogs. Then can buy condos liao. Hahahaha! please see the open close bracket for ur reference. Thanks for pointing that out. I've edited my post to make it clearer. I was trying to find out the information online but couldn't find it. The only info I got is panorama is 99 year leasehold also which means there's a high chance it's an EC. yeah I noticed the 99 year leasehold so I was thinking it's an EC. oh gosh, life in SG is tough for all except the extreme upper class. Even middle class goes into debt automatically when getting married. Oh well, its debt but many people don't see it as debt. They see it as investment coz the price will go up. That's why its expensive but people still buy believing they can make money. Most of us the CPF savings will be wiped out when we reach retirement age. Then if we do not have extra savings, we've to downgrade and buy a smaller flat to get enough money for retirement. I think just don't overstretch ourselves it'll be better. Its stressful when we have huge debts and jobs are not secured always anyway. Why succumb ourselves to these stress? ECs are all on 99 years leasehold.....but private condo can be on 99 years, 999 years or freehold. In this case, Panorama is a 99 years private condo.....M ! Nobody buy condo with a loan tenure of 30 years one la! If they really need 30 years, they shouldn't be buying a condo at all. That's my point. Even HDB should be kept under 15 years. Sure they can be optimistic and shorten the loan tenure in time but they ought to plan from 15 years as minimum. My HDB loan (BTO in 2012) was shortened from 15 years to 5 years. Hence, my HDB will be fully paid up in 2-3 years from today. If the value goes up - which already is, that alone can be my downpayment for condo if I feel like upgrading. I think there are still quite a number of people who take 30 years loan just to buy a condo. Many are overstretching themselves. Your views on debt are correct. We shouldn't be buying a condo if intend to take 30 years. Right but sometimes really no choice initially need to take up 30 years or so loan period first....if have more money or better cashflow later can always shorten the period then.....and some people use their rental to pay for loan no issue....just be prepared to have emergency fund of at least 6 months if anything happens.....M ! Sometimes debt can be a scary thing. When interest rates are low, many people take loans but what happens when interest rates become high again? In this case, the emergency fund will be a lot since need to factor in the monthly instalment of the condo. Definitely. Owning a home is an asset. Just make sure don't let something good become something bad. Owning a hime is good but not being able to pay for one is bad. Hi, i am a singaporean. with 50k saving cash and 60k cpf in my OA . my annual income is about 80k. do you think i can afford a 500-600k condo? buy not intending to stay but ti rent out as a passive income. I'm not in the position to advise you on this. I can only tell you your total debt cannot be more than 60% of your gross monthly income. Its best to consult a licensed real estate agent on this matter. Actually, to be more conservative, the downpayment should be 30%. We need to factor in other payments like lawyer fees, stamp fees,etc. Hello, i'm interested to know how much we should be earning if say there is an existing hdb loan of $300k over 24yrs and aiming for a private resale condo at $850k? Your total debt should not exceed 60% of your gross monthly income. This includes credit card debts, student loans, mortgages etc. This means whatever you repay monthly for your loans cannot exceed 60% of your gross income. I'm estimating that you will need around 8-9k income to cater for your existing hdb loan and private condo loan. But I think you will be selling your hdb before you buy a condo? You can't own both hdb and condo at the same time anyway. Also relating to the earlier question, is it worth to pay $850k for a 19 years old condo? Remaining lease 82years. Hmm, this I won't be able to advise you as I'm not a property agent woth expertise in lease value. It'll be better to seek advise from a licensed agent. Its only a rough estimate in my post. Apologies if its not too detailed. You can still keep your HDB even after buying a condo but Woah for 2nd property u need to pay additional stamp duty of 7% and downpayment of 40% since you still have a outstanding loan. I dont think 8-9k is sufficient. may i know what is the formula you used to get 2261 monthly repayment of the 720k condo with the 2% interest? I used an online mortgage calculator from one of the banks in Singapore. Just Google, bank housing loan calculator and you'll be able to find it. hi you mentioned total debt cannot be more than 60% of your monthly income in the above comments, is this the LTV ratio? The 60% is the TDSR. The LTV ratio is the amount of loan you take with regards to the property price. For example, if you take $500,000 loan for a 1 million condo, then the LTV is 50%. For condos, typically a person can borrow up to 80% of the property price and pay 20% down payment. The TDSR of 60% is the loan limit with regards to your gross monthly income. Hi, is there a restriction on the number of condominiums an individual can buy? That I'm not sure but I think there is no restriction on the number of condos as long as you can afford it. The restriction is on the loan amount which you can qualify. You're right. Kids expenses are not cheap too. We have to factor that in. Ever think of home investment sharing scheme? Imagine if now there are 5 people who has similar ability and intention like you to invest in condo and earn the passive income? 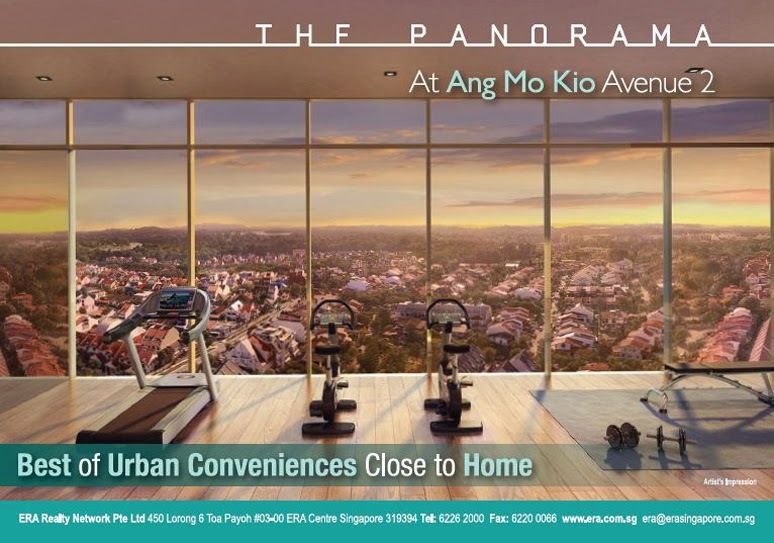 Instead of getting one condo by themselves, how about 5 person gather their funds and invest in one condo, sharing the 20% of passive income each? That would be possible if you can trust your other fellow investors and whose name shall be put under the property owner column? Or is there anyway to write up a legal contract to ensure that the rights of each individual is protected? I've heard of a scheme called crowd funding where a pool of investor invests in a property and they get a percentage of the rental income. But they only invest in overseas properties which have less restrictions. It looks like owning a condominium in Singapore will be a daunting task to do because you will have to loan $900,000. It's expensive! How much does a middle class Singaporean in a month? Maybe renting a place like Sentosa Cove Condo can do for them :p Anyways, thanks for showing the figures! If you do not have any other existing loans, you can borrow the max loan of 60% of your gross income under the current MAS rules. But still, the loan amount will depend fully on the bank's decision. Wow, I am only earning nett bring home 6-8k I had never think of owning a condo. I guess it ego and status that plays apart for those who intend to own a condo. Ego and status definitely plays a part. However, there is nothing wrong with staying in a condo as long as we can afford it. The problem comes when we overestimate our own ability to own one. I have thought of investing in condo as, my current 3rm bto hdb is fully paid. I got no liabilities except the car. But seeing the cost of it turns me down. Investing in condo is a good way to have extra income. But the key is to buy at the right price and know if you can afford it. Property prices are going down and I believe will go down even more next year. Its already a buyer's market now but it will get more attractive soon. with the current property price in Singapore, it's not the right time to buy. you might need to hold on to your precious money or it will just drain you out. That's right. Property prices are at the peak and is going down. Can we use CPF OA for monthly payment of private condo loan? Hi. My fixed income is 6.5k and my variables month can range from 7.5k to 9.5k. My line of job is anytime on the line. Current I live in a 5room flat and have 10more yrs to offset my hdb loan. Am 32yrs now. Do you think I can afford the Lake Life condo #safely".? I only have 100k in cash n 10k in cpf now. I own a car which coe expires in 2017, same time when this condo will be ready. Appreciate a detailed explanation please. Lastly is there any risks I might be taking if I were to sell my ec 10yrs later and then downgrade to hdb flat again? In case I decide to? I'll not be able to know exactly how financial institutions calculate the tdsr. There are a few guidelines given by MAS. TDSR is 60% of our gross income. Variable income needs to be discounted by a further 30% and interest rates need to be 3.5% when calculating for the monthly loan amount. For your gross income, I suppose it will br around 8.5k after discounting the 30% for your variable income. The maximum loan you can take is therefore about 5.1k per month. Do note that the TDSR of 60% includes all loans including your car loan if you have any. To see your ec, you can only sell it to Singaporeans and Singapore PRs from 5th to 10th year. After the 10th year, there will be no restrictions anymore. So after 10 years, it should be quite safe to sell your ec and downgrade if you want to. just found your blog, nice articles inside. if not wrong TDSR also account how many credit cards we had regardless we never use it? there is percentage account from it, so i guess need to reduce the limit on those not using it much? Hmm, i only know TDSR is 60% of our income. Yes it includes the amount we owe on our credit cards. As for accounting how many credit cards we had regardless we never use it, i'm not so sure about it. What about buying private property in partnership (2 or 3 friend's) all are SPR..can we use our cpf? I am foreigner in Sg I am 31 and my monthly salary is $8.5K, don't have any other loans or credits. I checked in property guru on the affordability of loan , I am planning to make deposit of $150 to 200K for property of below S$1 M, but the max loan eligibility it shows is only 420K for any property value above 500K, though i wanted to take a property of close to S$1 Mill. surprisingly its quite contrary to whats mentioned in this blog. can any body explain why. You can check with the banks and let them access your credit eligibility. MAS guideline is only a maximum of 60% of your gross monthly salary can be used to service your total loans. thanks for the post. nice reading it. you using data from official MAS guideline? Yes the data are from official MAS sources updated last year February. No one mentioned if age is also a consideration for your loan period? Yes age is a consideration for your loan period. We can take a bank loan up to age 75 but take note that the Loan To Value (LTV) will reduce from 80% to 60% if we borrow above the age of 65. One more thing, which bank has the most favourable Mortgage loan now? Mortgage loans package varies differently for different situations such as amount of loans, housing type, fixed or floating packages etc. I do a comprehensive consultation for anyone looking for mortgage loans at the lowest rates. You can email me at sgyi@homeloanwhiz.com.sg for a free consultation. No fees will be charged for this service. Hi I am 30-year old local citizen; I am thinking of using my CPF to buy private property under the Private Properties Scheme; I have about 60K in my OA and my monthly take-home pay of $2800. I have also an existing cash reserve of 50K that I specifically set aside for this (other than my other savings). Is it wise? I am afraid that I may be over-stretching myself. I have no other loans. Base on your age and income, your max loan eligibility is about $374,127.57 assuming you have no other outstanding loans now. 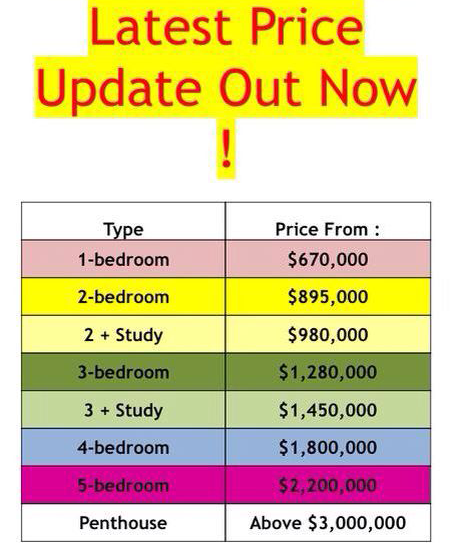 You can work around this figure to see the type of property you can get. Also, find out the monthly instalment you have to pay and see whether you are comfortable with it. You can email me at sgyi@homeloanwhiz.com.sg for a free consultation on your property needs. I can also recommend you a property agent to help you in your property search. Thanks! Hi, I just started work and am currently on my second mth of the three mths probation. Would securing a home loan be an issue? If so, how many months do I have to wait? Thanks. The banks would normally require the latest 3 months of your payslip. If you can provide that, getting a loan shouldn't be a problem. Before buying the property, its important to know the exact loan which you can get from the bank. This can be known through doing an IPA. You can email me at sgyi@homeloanwhiz.com.sg and I'll be able to advise more on your property purchase as well as do an IPA with you from the bank if you want. Thanks! I'm sorry to hear about your experience. I have many reputable law firms I work with for conveyancing which I engage for my clients together with good bankers to service them for their home loans. You can contact me at sgyi@homeloanwhiz.com.sg and I'll be happy to assist you. Thank you! I'm unable to delete my comment on Anthony Law. Anyway, it's sad that they have caused us major delays, however, they are trying to make up for it via service recovery. At least they're taking responsibility. I hope everything goes well from here on. I've removed your comment on Anthony law. Glad that they have provided service recovery. I wish you the best! I am a 30yrs old Singaporean working in.China just married my wife from China who is not a LTVP not PR. Can we buy a Condo in both our name? Our gross converted income is $9000. Right now we are interested in a condo which cost around $700,000. How many % loan will we be eligible and any idea how much stamp duty or levy is required? If your income is approved, the bank can lend you up to 80% of the property price. For the stamp duty, it is 15% + 3% for foreigners. Hi. I m 37 yrs old local citizen. My monthly take-home pay is $5000. My OA has about $120K. I set aside $100K for buying property (I have other savings). I intend to buy a two room condo. How much roughly does two room condo cost? $7xxk? Is my decision wise or too dangerous? A 2 room condo should cost around 800k to 1 million. Base on your income and age, your max loan eligibility is est around $640K. This is base on a loan instalment of $3000/mth for 28 years. If the condo is $800K, the downpayment will be $160K. Hope this helps for your planning. before end I am reading this fantastic article to improve my knowledge.